Typically, you wouldn’t think a creamy soup is a healthy choice. 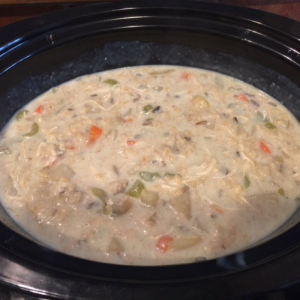 But this chicken and wild rice soup’s creamy base is made from wholesome Hiland Dairy Milk. 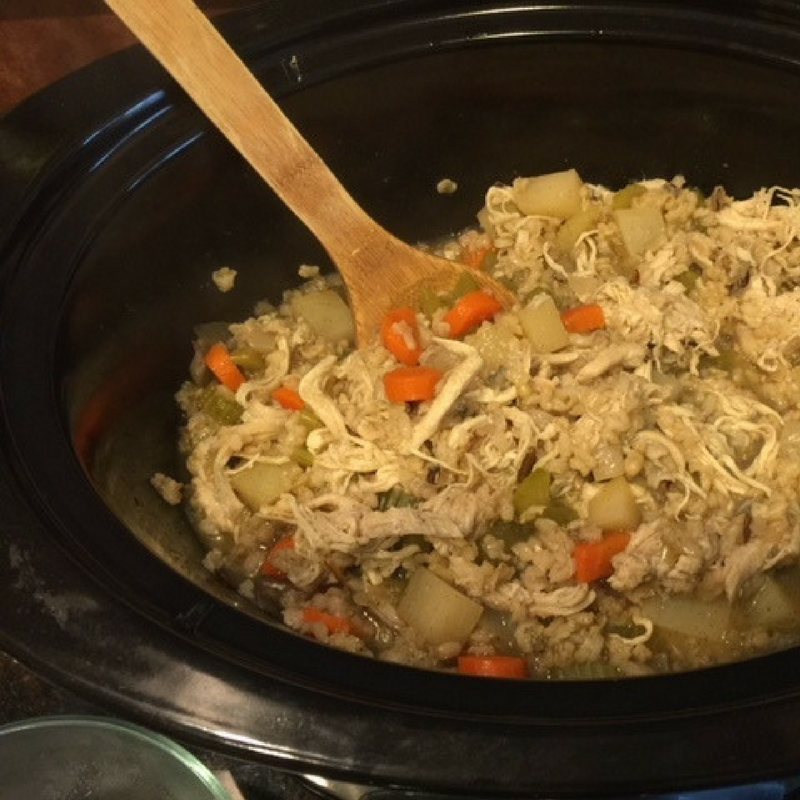 It’s delicious, and you can make it easily in your slow cooker. 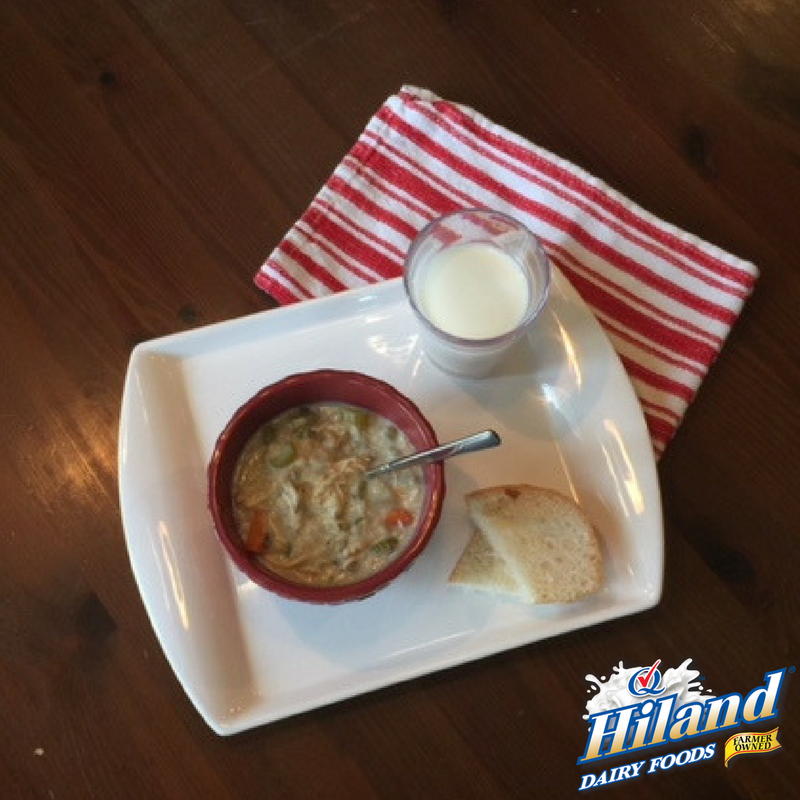 You’ll enjoy the savory aromas of this soup the second you walk through the door. 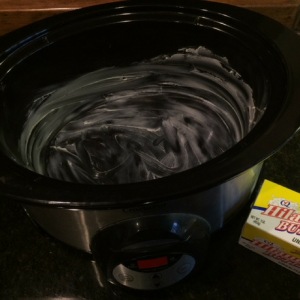 Lightly coat a slow cooker with nonstick cooking spray or butter. Put the carrots, celery, potato and onion in the bottom of the slow cooker. Stir in the poultry seasoning, salt and pepper. Toss until evenly coated. 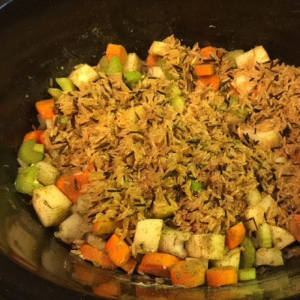 Rinse the wild rice and add to the slow cooker on top of the vegetables. Arrange the chicken over the rice, then pour in 5 cups of the chicken stock. Cover and cook on low for 6 hours, or until the rice is tender and the chicken is cooked through. Tip: If you are using precooked slow-cooker shredded chicken, omit the raw chicken breasts and only cook the vegetables and rice at this point. Remove the chicken and shred. Return the chicken to the slow cooker. 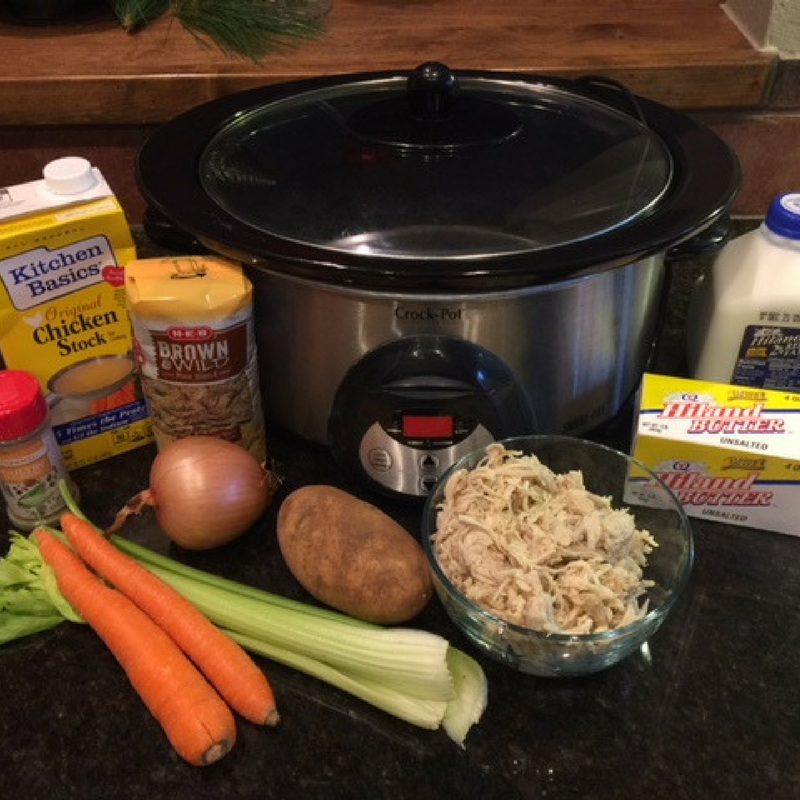 Tip: This is when I added my precooked slow-cooker shredded chicken. Sprinkle in the flour and whisk until the flour mixture is golden brown, about 1 minute. 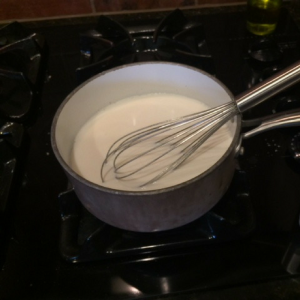 Gradually pour in the milk, constantly whisking to remove any lumps. Bring to a gentle boil, then reduce heat to simmer. Stir often until the mixture thickens, about 4 minutes. Pour the milk mixture into the slow cooker and stir to combine. Add more Hiland Dairy Milk if you like a thinner soup. 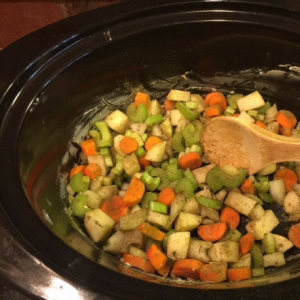 This soup will last up to five days in the refrigerator, or you can freeze it for up to three months.